Every day, Watch This offers staff recommendations inspired by a new movie coming out that week. This week: AAIIEEEEEEE—UH—UNK! Godzilla: Final Wars, the last kaiju flick to be produced by Japan’s Toho Studios, is one loopy pile-up of a movie. The opening battle pits the King Of The Monsters against a Gerry Anderson-style flying submarine at the South Pole. The plot is overcomplicated and barely coherent, even by Godzilla standards. Nearly every monster in the Toho stable makes an appearance. In lieu of Akira Ifukube’s iconic theme music, there’s a MIDI cheesefest by Keith Emerson. 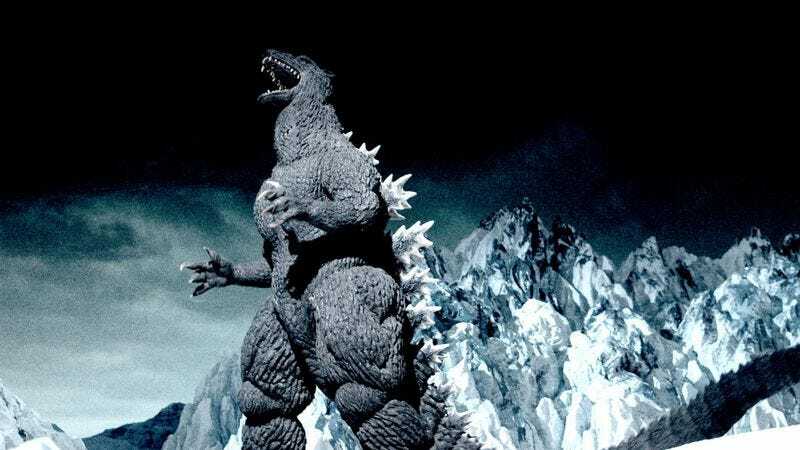 Director Ryûhei Kitamura (Versus) grew up watching the series’ wacky later entries, and his take on Godzilla plays an awful lot like what an 8-year-old boy would make if he were given the run of a movie studio. It is not great by any metric, but it’s entertainingly, endearingly scattershot, cramming Matrix-style fight scenes and swipes at the Roland Emmerich’s 1998 Americanization in between its scenes of giant monster mayhem—which, incidentally, happen to be fantastic. Aside from some bits of incongruous CGI, they’re done mostly the old-fashioned way, with rubber suits, HO-scale buildings, and landscapes dotted with tiny trees, and Kitamura—then a hotshot known for hits flashy visuals—updates the usual “wrestling ring” camerawork of Toho’s kaiju movies with some forceful (though completely motivated) camera moves. “As a Godzilla fan, I want to see Godzilla punching and kicking, beating up all of the other monsters, instead of somebody talking about it,” said Kitamura at the film’s premiere. And though Final Wars is still bogged down by excessive and unnecessary plotting (what Godzilla movie isn’t? ), it delivers on the kaiju battle front, with the King Of The Monsters taking on everyone from King Ghidorah to Ebirah, the giant boiled lobster kaiju from the little-loved Godzilla Vs. The Sea Monster. It’s a fitting send-off for the big guy’s original franchise. Availability: Godzilla: Final Wars is available on DVD, which can be obtained from Netflix.